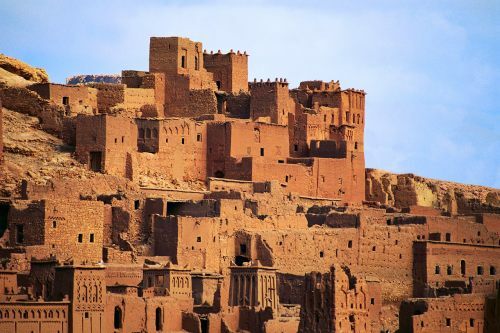 British Airways is showing flights from Vancouver to Marrakesh, Morocco for $755 CAD roundtrip including taxes. For longer trips, you can try mixing and matching the dates from above. 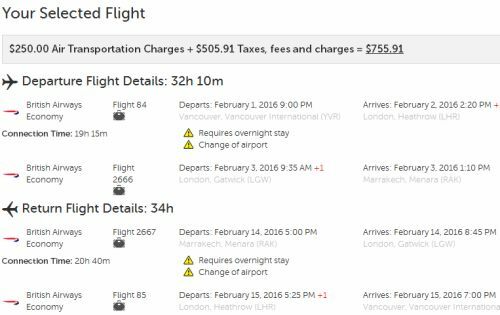 2 Responses to "Vancouver to Marrakech, Morocco - $755 CAD roundtrip including taxes"
Thanks for finding this. The overnight stay and transfers in London will be shockingly expensive. Just live in the airport like that character in that Tom Hanks movie.